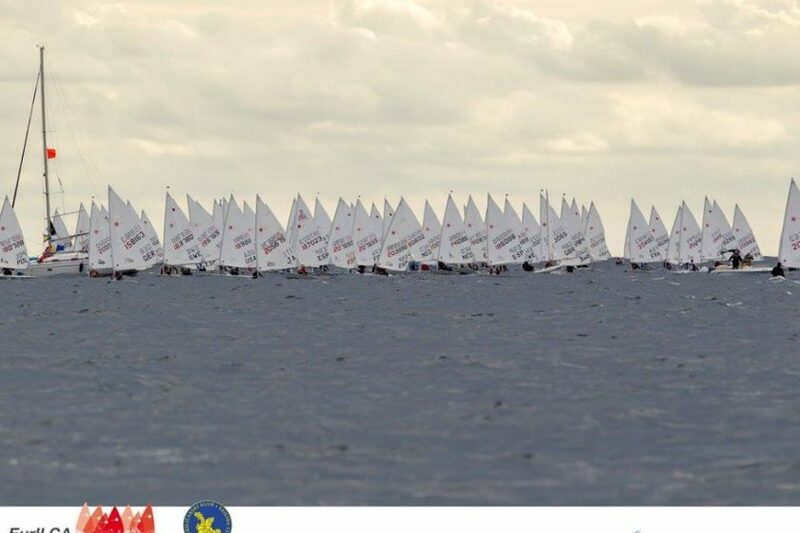 The European Laser Masters’ Championship 2016 began yesterday in Hvar CRO with two races. Once more, numerous former Champions of different classes are participating, and the Grand Masters (age 56-65) dominated in the Lasers Standard with the former Olympic Champion (Finn 1988) José-Luis Doreste ESP with the ranks 1 and 2. Ari Barshi DOM and the former Laser European Champion Tim Law GBR follow on the ranks 2 and 3. The Finn World Champion 1980 Wolfgang Gerz GER is 4th. 73 participants from 16 nations. First in the Radials is Jon Emmett GBR with two bullets. Ian Gregory GBR as best Grand Master and Jean-Luc Dreyer SUI follow on the ranks 2 and 3. 5th is te Peter Seidenberg USA, sailing in the category ‘Legends’ (75 ). 83 sailors from 14 nations participate. All ranking lists and the photos.